The most significant of Beethoven’s noble patrons during his years in Vienna was Archduke Rudolph of Austria, youngest brother of the Emperor Franz. Beethoven began teaching Rudolph piano in around 1803–04, and the archduke later became his sole composition student. He was also the only one of his patrons whose financial support continued uninterrupted until the composer’s death. Beethoven generally scorned aristocrats, but it appears his relationship with Rudolph was different. In the composer’s own words, the archduke treated him ‘like a friend, not a servant’. Beethoven dedicated fifteen of his most important works to Rudolph (more than to any other individual), including the Fourth and Fifth Piano Concertos and, following the archduke’s appointment as a cardinal and then as Archbishop of Olmütz in 1819, the Missa solemnis. In this programme we present two of the chamber works dedicated to him – the Violin Sonata in G major, Op. 96 and the ‘Archduke’ Piano Trio, Op. 97. Join us as we explore Rudolph’s life and his unusual friendship with the great composer. 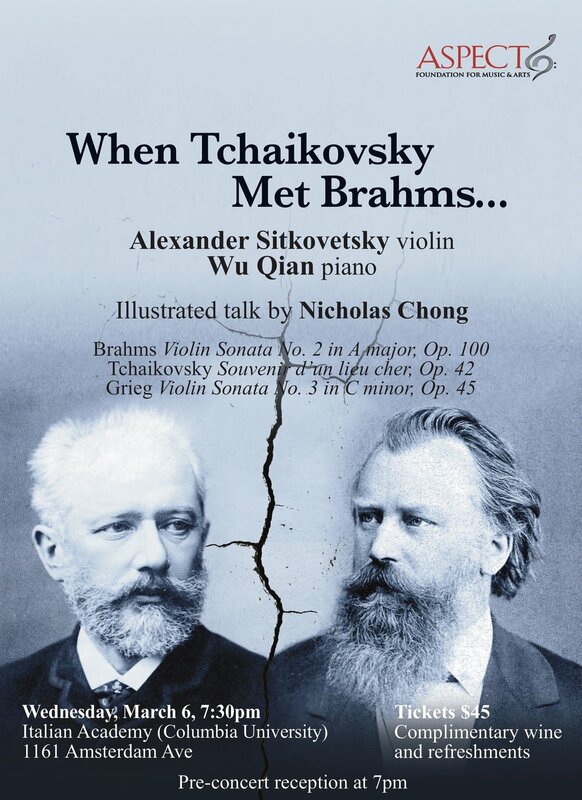 Although Tchaikovsky and Brahms both wrote some of the most glorious, heart-warming melodies in the Romantic musical literature, they disliked each other’s music. Their first meeting might have gone badly had Grieg not also been present – somehow he managed to smooth things over and, with the added help of several bottles of wine, the two antagonists ended up getting on famously. So what might have happened if they’d managed to drop their guard and simply listen to each other’s music for what it was? 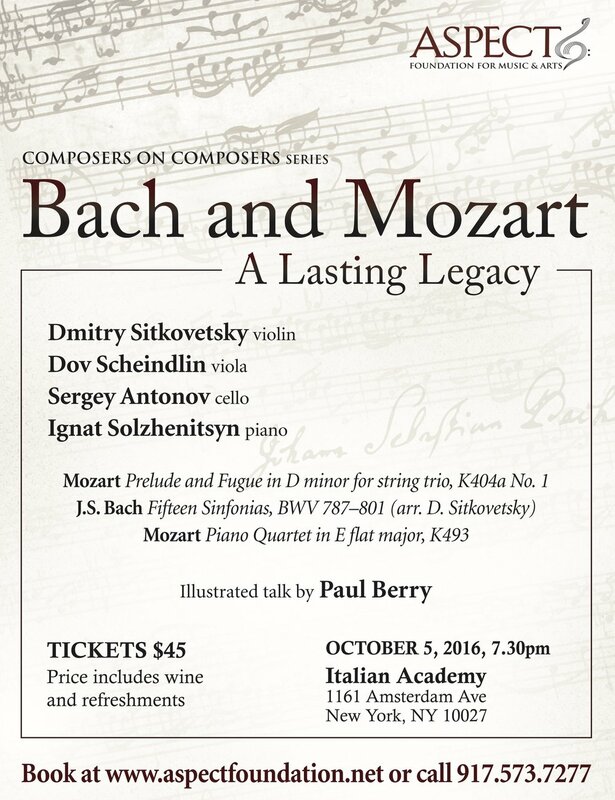 Apart from bringing together three exquisite pieces, this concert could also be seen as an attempt at posthumous reconciliation. Tchaikovsky’s Souvenir d’un lieu cher begins with his original attempt at the slow movement of his Violin Concerto. How could the Brahms who wrote the Second Violin Sonata fail to be moved by it? And how could Tchaikovsky miss the soulfulness in Brahms’s long-breathed melodic writing? And between them – perhaps as in that first meeting – sits Grieg, his melodic talent as ardent and sweet-toned as Tchaikovsky’s, as finely formed as Brahms’s. Today, Haydn and Mozart are labeled ‘Classical’, but for a younger contemporary of theirs, the writer, composer, and critic E.T.A. Hoffmann, they were ‘Romantics’. What we now call the Classical Era was an age of ferment and transition. Vienna was a bastion of political and cultural reaction, but also an international city to which people flocked from far and wide, bringing with them contrasting attitudes and beliefs. This was the Age of Enlightenment, too, and intellectuals were challenging the authority of the throne or the pulpit, arguing that truth could only really be found by independent inquiry. The first stirrings of Romanticism, revolutionary thinking, and delight in disputation can all be heard in the chamber and instrumental music of Haydn and Mozart. But the ‘Classical’ label is not simply wrong. This was a period in which new musical forms were being perfected, in which Sturm und Drang was countered by an instinct for balance and elegance of proportion. The paradox of Vienna is also the paradox of its music. ‘One hardly dares breathe when reading Hoffmann,’ said Schumann of the great writer in whose work the borderlines between dream and reality, art and life, the natural and the supernatural so often become blurred. From Hoffmann, Schumann borrowed the titles of some of his best-known piano pieces – Kreisleriana, Fantasiestücke, Nachtstücke – while the young Brahms signed some of his early compositions ‘Kreisler Junior’, in homage to the fictional musician created by the author. Hoffmann’s tales inspired ballets by Tchaikovsky (The Nutcracker) and Delibes (Coppélia), as well as operas by Offenbach, Busoni (Die Brautwahl) and Hindemith (Cardillac). Hoffmann himself was also a composer, and his proto-Romantic opera Undine was praised by Weber. His influence as a writer, meanwhile, was felt as far afield as France, Russia and America, those who fell under his spell included Baudelaire (for whom he was simply ‘the divine Hoffmann’), Balzac and Maupassant, as well as Dostoevsky, Pushkin and Gogol, and Edgar Allan Poe. Tonight we hear one of Beethoven’s earliest string quartets and one of his last. The six quartets of Opus 18 were published in 1801, and No. 6 is a high-spirited and warm-hearted piece. The first theme of the first movement starts with a conversation between the first violin and cello, and though the last movement contains a brief passage labelled La malinconia (‘to be played,’ he wrote, ‘with the utmost delicacy’) which looks forward to his later style, it also evokes a merry ballroom or country dance. Twenty-five years later, ill, deaf, and desperately worried about his beloved nephew Karl, Beethoven finished Opus 131: seven movements to be played without a break. ‘A new manner of part-writing,’ he wrote to a friend. Contemporary audiences were not ready for such music, which continues to inspire composers even today. Schumann recognised its genius. Opus 131, he said, stood ‘on the extreme boundary of all that [had] hitherto been attained by human art and imagination’. Schubert, too, understood its place in history. ‘After this, what is left for us to write?’ he asked. But most people, even other musicians, were bewildered. ‘We know there is something there,’ said one, ‘but we do not know what it is.’ Louis Spohr described the late quartets as ‘indecipherable, uncorrected horrors’. Of all them, Opus 131 was Beethoven’s own favourite. He thought it his most perfect single work and dedicated it to Baron Joseph von Stutterheim in gratitude for his taking Karl into the army after the latter’s suicide attempt. What was going on in the composer’s life when he wrote it? How did this lonely, haunted man perfect his extraordinary journey into the quartet form: a form full of conversation, human togetherness, social harmony and integration, which sums up the inter-relationship of different voices? How did he move from the Classical balance of Opus 18 to the grandeur, avant-garde daring and unspeakable sorrow of Opus 131? Join us as we explore the possible answers to these questions and more. Love, requited or otherwise, can spark the creation of great music. In 1865, Antonín Dvořák’s feelings for Josefína Čermáková inspired the song-cycle Cypresses. His love was unrequited, but years later he arranged some of the songs for string quartet, creating a set of exquisite miniatures. Leoš Janáček was sixty-three when he fell for the much younger Kamila Stösslová; the String Quartet No. 2, ‘Intimate Letters’, is the last work he completed, but sounds like the music of a young man, overflowing with life and yearning. Alexander Zemlinsky’s later music explores his grief at losing Alma Schindler, but his First String Quartet – written shortly before they met – shows him in happier mood, unaware of the heartbreak to come. Out of the dark final years of the reign of Louis XIV came a new style of art characterized by freshness, elegance and sensuality. While Versailles was draped in the heavy fabrics of guilt and failure, penance and penitence, Antoine Watteau was breaking with tradition, creating the new genre of the fête galante. His delicate brushstrokes and mastery of color and nuance are echoed in the music of his contemporary François Couperin. As art historian Tav Holmes guides us through the unique, idealized world of Watteau, Boucher and Fragonard, the Four Nations Ensemble and soprano Sherezade Panthaki will perform works of equally evocative beauty by Leclair, Clérambault, Devienne, and Telemann. Counterpoint was a constant preoccupation throughout J.S. Bach's life and The Art of Fugue, one of his last works, was the culmination of this lifelong obsession. It has long been supposed that the composer's death interrupted its completion, yet recently other possibilities and theories have been suggested. Richard Boothby presents an illustrated performance with his group Fretwork, whose celebrated recording of this remarkable work is their best-selling album, and discusses some of the music's most intriguing features. The evening will conclude with an analysis of the final fugue and a performance of a possible reconstruction of its missing final bars. Whatever Weimar may have come to symbolize in the twentieth century, it was once a beacon of culture. In 1816, Grand Duke Carl August (1775-1828) defied the Congress of Viennas conservative absolutism and founded a liberal constitution in Saxe-Weimar-Eisenach. The twelve-year-old Mendelssohn visited Weimar five years later, making a huge impression on the eminent writer Goethe, one of Carl Augusts privy counselors. In 1842, Liszt was appointed court composer. Long before all this, Bach had served as court organist at Weimar. Alongside performances of some of these three composers finest instrumental works, this concert examines the Golden Age of a city that became a place of refuge in troubled times. MARCH 14, 2018. Leighton House, London. Clara Wieck, Johannes Brahms and Hugo Wolf all loved Robert Schumann, and all paid a price for their love. Clara married him, despite her father’s bitter opposition, then had to watch him slip repeatedly into mental torment. Brahms found himself welcomed as a son and hailed as a genius, but also witnessed Schumann’s final descent into madness. Wolf revered and imitated Schumann’s songs, but suffered a bruising encounter with Brahms that marked him for life. In a chilling echo of the fate of his and Brahms’s musical hero, he later tried to drown himself, then died in an asylum. Meanwhile Brahms and the widowed Clara developed an intense but enigmatic relationship of their own, one which held Brahms emotionally captive for the rest of his life. Yet from this turmoil came exquisite music. Schumann’s piano music, his songs and Clara’s, and those of Brahms and Wolf reveal the Romantic sensibility at its most tender, brilliant and finely tuned – a moving demonstration of how creativity can transform and transcend suffering. Blazing stars such as Tchaikovsky risk eclipsing less sensational talents, but these more modest figures can have their moments of greatness too. Anton Arensky's Quartet, composed in memory of Tchaikovsky, is for an ensemble of single violin, viola and two cellos, giving the sound a haunting dark richness. Quotations from Orthodox chants and from Tchaikovsky's song 'Legend' suggest a prayer for the composers soul, but the outcome is joyous and celebratory. Tchaikovsky's pupil Sergei Taneyev is sometimes called 'the Russian Brahms'. He cherished Classicism and intricate counterpoint and set his face against populist emotionalism. His Piano Quintet is powerful and purposeful, however, and its sense of heroic determination is ultimately very moving. No piece by Schubert pays clearer homage to his greatest contemporary, Beethoven, than his Octet one of his most irresistibly exuberant chamber works. It was commissioned by Count Ferdinand Troyer, amateur clarinetist and chief steward to Beethovens pupil and patron Archduke Rudolph of Austria. Troyer wanted a piece modeled on Beethovens Septet, Op. 20, and Schubert duly scored his music for an almost identical ensemble. He also mirrored Beethovens six-movement scheme even prefacing each of the outer movements with a slow introduction. And as in the Beethoven, the works centerpiece is a set of variations. This being Schubert, the variation theme comes from one of his vocal compositions: a duet in a Singspiel he had composed at the age of eighteen. Beethoven's "Kreutzer Sonata" for violin and piano (dedicated to Rodolphe Kreutzer, a French violinist who never performed it) is the centerpiece of Tolstoy's disturbing and controversial novel, "The Kreutzer Sonata." The novel in turn inspired the Czech composer, Leo Janácek, to write his eponymous, intense and feverish first string quartet. Tolstoy, deeply responsive to music, had a particular passion for folk music (the second movement of Tchaikovsky's first quartet, based on a folk song from Tolstoy's childhood, brought tears to his eyes). However, he was highly selective about the works of Western composers. While Tolstoy admired Beethoven and was captivated by his music, he was also of the view that the composer had brought about the decline of musical art. The musical narrative of Janácek's String Quartet No. 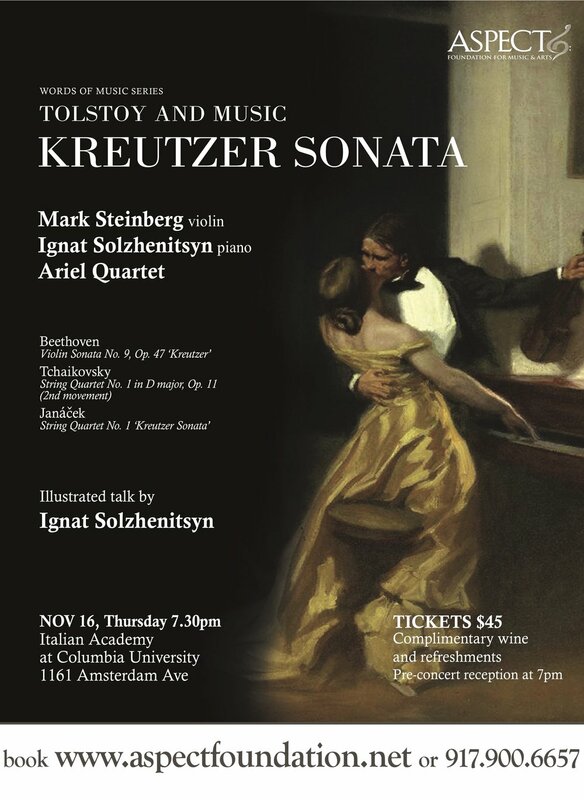 1, "Kreutzer Sonata", seems to mirror the unfolding marital tragedy of Tolstoy's novel, while the third movement of the quartet is modelled on the second theme of Beethoven's "Kreutzer Sonata." Join us as we explore the unique connections between music and literature, and witness music become, in Tolstoy's words, "a shorthand of feelings." This concert, featuring three exceptional works for string quartet, will explore the extent to which Haydn, Beethoven and Schubert, whose lives overlapped in Vienna at the turn of the nineteenth century, were kindred spirits. Schuberts Quartettsatz, the first movement of an unfinished quartet, contains an achingly beautiful melody set off by an underlying sense of fear and tragedy. By contrast, Haydns G major Quartet, Op. 54 No. 1 reveals its composer at his most good-natured and genial, while also embracing a a slow movement of searching profundity. Beethovens Op. 127 is a work of radiance and lyricism whose second-movement variations encompass everything from playfulness to prayer. Three masterpieces of the chamber wind repertoire by three epoch-making composers. Mozarts sublime Quintet, K452, in his own opinion the best work I ever composed, combines the essence of Viennese Classicism with the composers distinctive operatic magnificence. Rimsky-Korsakov, one of the five composers who made up St Petersburgs Mighty Handful, brought his experience as an Inspector of Russias naval bands to bear on his writing for winds and brass. His exuberant and brilliantly colourful Quintet in B flat is all too rarely heard. The concert ends with Poulenc, leading member of Les Six, the unconventional group of composers active in 1920s Paris. All his flamboyant wit and wistful poetry is captured in the Sextet, Op. 100. Clara Schumann (Clara Wieck) - virtuoso pianist and composer, wife of Robert Schumann, mother, teacher, friend and inspiration to many of her contemporaries - played many roles during the course of her life. She became one of the greatest performers of the century alongside Thalberg, Chopin, Rubinstein and Liszt, the latter dedicating both his 1838 and 1851 editions to her as one of the finest contemporary pianists. Clara was Schumann's muse and musical voice, creative partner and interpreter of his work. As a celebrated performer, she was able to promote her husbands works. Clara was the inspiration and guide for much of the music of Brahms, who fell hopelessly in love with her as a young man. As with Schumann, she shared in the genius of Brahms, who in his own words described his relationship with her as the most beautiful experience of my life, its greatest wealth and its noblest content. Clara maintained an inspiring friendship with Mendelssohn, who had the highest regard for her as a musician, and dedicated some of his music to her. Clara, in turn, included at least one of Mendelssohns works in almost every recital she gave during her long career as a concert pianist. Along with Claras own music, this programme presents music composed by the men for whom she was friend, love, and inspiration. Join us to get a glimpse of the woman behind the Muse. Composers throughout the ages have thrilled and delighted audiences with writing of virtuosic display, both vocal and instrumental. This programme takes in a range of dazzling works, from the ease and grace of arias from Handel’s Baroque operas Almira and Rinaldo and the Classical wit and charm of Mozart’s Marriage of Figaro, via the coloratura brilliance of Alabiev’s The Nightingale and Verdi’s “Caro nome”, to the “mad, bad and dangerous to know” Romantic virtuosity of composer-pianist Liszt, whose breathtaking performances resulted in ladies fainting in the aisles and, on occasion, the composer himself collapsing at the piano. Join us at Leighton House for what promises to be a stunning recital from two rising stars on today’s music scene. Smetana gave voice to the Czech desire for independence, so long yoked under the Habsburg Empire. But, away from his triumphantly nationalist operas and tone poems, in his quartets we encounter the fevered imagination of an artist fighting for his sanity. His example inspired Antonin Dvorák to bring Bohemian and Moravian elements into his own warmly vivacious chamber music, creating an outpouring of dance and song. In this programme we look at the emergence of a new nationalist identity in the rising city of Prague, as it cast off its Germanic traits, and explore the light and dark sides of the great Romantic figures. From the time of Gluck in the mid-eighteenth century to that of Mahler and Schoenberg in the early twentieth, Vienna was the capital of capitals as far as music was concerned. If a composer could make it there, he truly could make it anywhere. Amongst the composers of genius attracted to the city were Haydn, Mozart, Beethoven, Brahms, Richard Strauss and Lehar, not to mention such native sons as Schubert and Johann Strauss. In no other city was music quite so central to its life, or musical intrigues quite so poisonous! In our Romantic Vienna programme we shall be exploring the music and art of the Romantic period. We will present the music of Schubert and Brahms, the Romantic classics. Both Schubert and Brahms composed in the traditional forms established by the great classical Viennese trinity: Haydn, Mozart and Beethoven, but the content of their music is highly Romantic. While Schubert's music (like that of the later Beethoven) heralds the dawn of Romanticism, that of Brahms brings on the dusk. When, in 1781, Mozart broke with his hated patron the Archbishop of Salzburg and settled in Vienna, he began to look to the future, but it turned out to be an encounter with the past that would particularly fire his creativity. At the home of Baron Gottfried van Swieten he heard and was deeply impressed by the music of his great predecessors Bach and Handel. This concert gives an insight into what Mozart learned from Bach in particular, and shows how, through the alchemy of genius, he transformed those lessons into something utterly personal and profoundly far-reaching. It is a chance to enter the unique mind of Mozart, and to hear some wonderful music by both master and disciple. The catalyst was ‘Slava’, the charismatic cellist Mstislav Rostropovich: at the height of the Cold War he introduced Shostakovich and Benjamin Britten to each other at the UK premiere of the former’s first Cello Concerto. Both were shy, but recognised a fellow artist, spiritually in sympathy. Britten’s immediate response was to pen his bold Sonata in C, in some ways a portrait of Slava, his courage, humour and suffering. Shostakovich’s own Sonata dates from the creative crucible of his pre-war years when he was learning to subvert conventional forms in emotionally powerful ways. Britten said of Shostakovich, ‘no one composing today has equal influence on me’. Shostakovich responded by dedicating his Symphony No. 14 to Britten. In the late seventeenth and early eighteenth centuries London was the most vibrant and cosmopolitan musical centre in Europe. Alongside music for theatre and chapel, a rich tradition of chamber music developed, whether for performance at court or in private salons. Rachel Podger and Brecon Baroque, together with speaker Richard Wigmore, celebrate Baroque London’s musical pre-eminence in a programme of string sonatas ranging from Purcell’s intricate, inward-looking sonatas in 3 and 4 parts to the breezy tunefulness of William Boyce and Thomas Arne. En route they take in a flamboyant sonata by the expatriate Italian virtuoso Francesco Geminiani, and two captivating trio sonatas by Handel, the German émigré who inherited Purcell’s mantle as ‘England’s own Orpheus’. The Romantic Age was a good time to be a sensitive, lonely misfit. After the success of Goethe and Byron’s writings, young men – and occasionally young women – dreamed of cutting their ties with cosy bourgeois security and wandering freely, searching for some kind of spiritual truth that might give purpose to their being. Not all of them found it: for some, the truth lying in wait was only painful disillusionment. Others, however, realised that, as Marianne Moore put it, ‘the cure for loneliness is solitude’. Franz Liszt’s first set of Années de pèlerinage (Years of Pilgrimage) records what he found on his travels in Switzerland, the ‘images’ that ‘stirred deep emotions in my soul’. Berlioz’s symphony Harold in Italy (arranged by Liszt) shows Berlioz following in Harold’s footsteps, to the point where he could say, with Byron, ‘I live not in myself, but I become portion of that around me’. Three masterpieces of the chamber wind repertoire by three epoch-making composers. Mozart’s sublime Quintet, K452, in his own opinion ‘… the best work I ever composed’, combines the essence of Viennese Classicism with the composer’s distinctive operatic magnificence. Rimsky-Korsakov, ‘chief architect’ of St Petersburg’s ‘Mighty Handful’, brought his experience as an Inspector of Russia’s naval bands to bear on his writing for winds and brass. His exuberant and brilliantly colourful Quintet in B flat is all too rarely heard. The concert ends with Poulenc, leading member of ‘Les Six’, the unconventional group of composers active in 1920s Paris. All his flamboyant wit and wistful poetry is captured in the Sextet, Op. 100. It was inevitable that the Sicilian Vincenzo Bellini (1801–35), whose musical ideal was ‘weeping in song’, and the Polish-born Fryderyk Chopin (1810–49), who understood better than any other composer how to make the piano weep and sing, should sincerely admire one another. Both men died at an early age, but their quintessentially Romantic music, characterised above all by extended and expressive melodic lines, continued to exert an influence throughout the nineteenth century– one that can be heard in the work of such disparate composers as Verdi, Liszt and Wagner, and even in the later, verista operas of Giordano, Cilea and Orefice. This concert, in the sympathetic surroundings of Leighton House, will explore both the relationship between Chopin and Bellini and the far-reaching impact of their music. 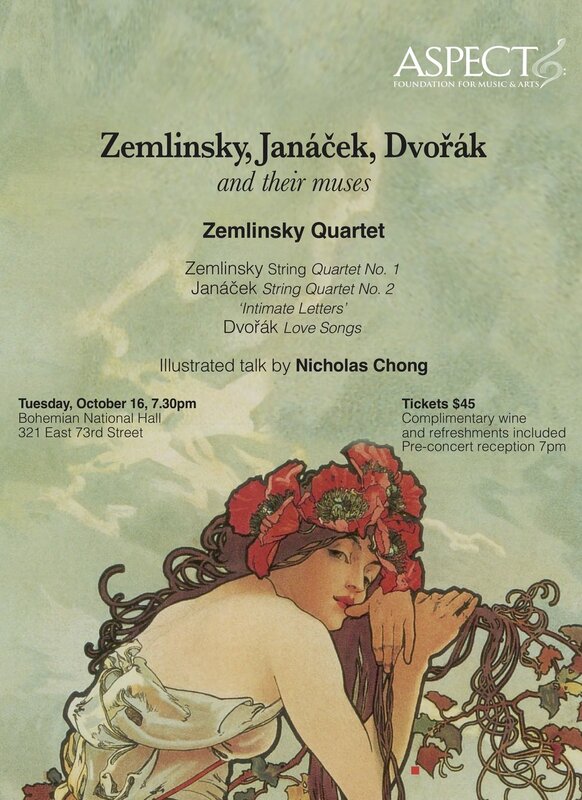 This concert features one of Beethoven’s earliest string quartets and one of his last. His Opus 18 was published in 1801, and No. 6 is a high-spirited and warm-hearted piece. Twenty-five years later, the composer completed his Opus 131: seven movements to be played without a break. Although the quartet received a mixed response from his contemporaries, Beethoven himself thought it his most perfect single work. What was going on in his life when he wrote it? How did this lonely, haunted man perfect his extraordinary journey into the quartet form, one full of conversation, human togetherness, social harmony and integration? How did he move from the Classical balance of Op. 18 to the grandeur, avant-garde daring and unspeakable sorrow of Op. 131? The Endellions perform the two quartets, framing readings by poet Ruth Padel of new works that meditate on the time and circumstances of their creation. Stellar composer-virtuosos Liszt and Paganini were both accused of being in league with the Devil. Stravinsky’s ballet The Firebird includes a vivid portrayal of infernal powers, while Tchaikovsky’s opera The Queen of Spades tells chillingly of a pact made between the living and the dead. Join us as Danilo Mascetti brings his own brand of magic to these scintillating scores. What makes Berlin a musical city? Is it the fact that it boasts ‘the world’s finest orchestra’, or the greatest number of world-class opera houses in one city, or the most diverse alternative music scene? Is it the combination of all three? Or maybe none of the above? In the opening concert of ASPECT’s spring season, Norman Lebrecht will discuss what it takes to be a musical capital and examine how Berlin went from garrison town to cultural hub. The history is more complicated than it seems. Award-winning harpsichordist Mahan Esfahani explores Berlin’s musical origins from the roots up: from Frederick the Great’s musical consolations, the musicians and great minds he gathered around him, and those he drove away. Where was J.S. Bach when Germany really needed him? Gabriel Fauré came of age in a France fighting for its cultural identity. His own admired teacher Saint-Saëns led the charge in trying to create a non-Germanic music tradition, aided by Chabrier, D’Indy, then Debussy and Ravel. But it was also Saint-Saëns who introduced the young Fauré to the piano music of Schumann. A century later, Schumann’s music, alone among the German Romantics, sits naturally alongside French music, and finds a special resonance in Fauré’s own art, sharing its fluidity, inwardness and subtlety. Here, distinguished musicians Philippe Graffin, David Waterman and Alasdair Beatson illustrate the musical links between these two elusive artists, performing Schumann’s intense D minor Trio, and Fauré’s Second Piano Quartet, a work of rare, ecstatic expression. Smetana gave voice to the desire for independence of his fellow Czechs, so long yoked under the Habsburg Empire. His quartets, however, are a world away from his triumphantly nationalist operas and tone poems: in them we encounter the fevered imagination of an artist fighting for his sanity. Smetana’s example inspired his compatriot Dvořák to bring Bohemian and Moravian elements into his own warmly vivacious chamber music, creating an outpouring of dance and song. In this concert, broadcaster and pianist Iain Burnside looks at the emergence of a new nationalist identity in the rising city of Prague as it cast off its Germanic traits and, together with the Zemlinsky Quartet, explores the light and dark sides of these two great Romantic composers. Paris circa 1770: home to the brilliant philosopher, writer and chief editor of the Encyclopédie Denis Diderot ¬– one of the most courageous advocates of a radical, godless Enlightenment. He and other like-minded intellectuals would meet at the salon of Baron d’Holbach to discuss how best to lead lives of passion and empathy, to indulge in fervent debates about opera, and to listen to chamber music – Diderot himself saw music as a direct route into people’s hearts and minds. It was the litany of lovers and husbands in what he described as ‘the juiciest, spiciest, raciest obituary that it has ever been my pleasure to read,’ that inspired Tom Lehrer’s famous song about Alma Mahler, whose lyrics include the lines “Her lovers were many and varied, from the day she began her beguine. There were three famous ones whom she married, and God knows how many between.” Alma Schindler Mahler Gropius Werfel was not one of those celebrated beauties who retained her allure into old age. Colour film footage of her from the 1950s presents a raddled and formidable matron. In photographs taken of her in her prime, we can admire her flawless profile and magnificent bosom. Were these features enough to fascinate a small army of gifted men? 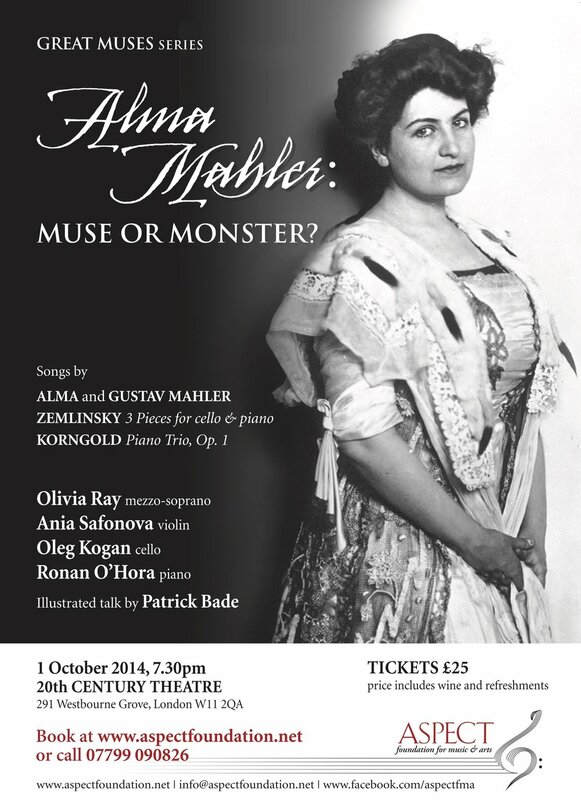 In an evening of chamber music and songs, including some by the lady herself, we shall explore the enigma of Alma Mahler and the impact she had on the culture and music of her time. The son of a bookseller and publisher, Robert Schumann was inspired as much by literature as by music. Of all the authors he esteemed, his favourite was Jean Paul Richter. He once wrote to a friend that, from Jean Paul ‘I learned more about counterpoint than from my music teacher’. What was it about this (now unfashionable) writer that so appealed to the young Schumann? And what was the nature of this ‘counterpoint’ that he learned from him? The music presented in this programme is intimately connected with Jean Paul, and in particular with his novel Die Flegeljahre (The Awkward Age). Between the two works, we will explore how Schumann brought the fantasy of Jean Paul together with his own emotional experience (particularly his forbidden relationship with Clara Wieck) to develop a unique character as musician and writer. In most music history books he’s a shadowy figure - if he’s mentioned at all. But without the Baron Gottfried van Swieten, key works by Haydn, Mozart and Beethoven would have sounded quite different. Which means that the influence of those three giants on the later development of western classical music would have been very different too. Who was this mysterious but clearly crucial figure? By all accounts, Baron van Swieten was a mass of contradictions. Stiff in bearing, pompous and patronizing in his dealings with mere musicians, acutely, even comically aware of his own minor aristocratic status, he could also be generous, insightful and loyal. He not only paid for Mozart’s funeral, but provided much-needed financial help for the composer’s widow and children. He may have looked down his nose at Haydn and Mozart, but for their work he had nothing but respect, magisterially silencing anyone who had the temerity to talk during one of their performances. Although his own efforts at composing were unimpressive, van Swieten’s recognition of the talents of others was unusually insightful. Apart from the three Viennese Titans, he also singled out Gluck and C.P.E. Bach. More importantly, he developed a very untypical passion for J.S.Bach and Handel, whose music was largely forgotten by the late Eighteenth Century. Van Swieten arranged and paid for performances of works by the baroque masters, and encouraged Haydn, Mozart and Beethoven to play them, study them and imitate their contrapuntal skills. The results can be heard in the thrilling fugal ending of Mozart’s Jupiter Symphony, the colossal Grosse Fuge of Beethoven and the muscular polyphonic choruses of Haydn’s Creation - for which van Swieten also compiled the libretto. However there was more to all this than technique: what van Swieten felt he was offering these great composers was ‘food for the spirit and for the heart. And as those three above-mentioned masterpieces show, he was right. ‘One hardly dares breathe when reading Hoffmann,’ said Schumann of the great writer in whose work the borderlines between dream and reality, art and life, the natural and the supernatural so often become blurred. From Hoffmann, Schumann borrowed the titles of some of his best-known piano pieces – Kreisleriana, Fantasiestücke, Nachtstücke – while the young Brahms signed some of his early compositions ‘Kreisler Junior’, in homage to the fictional musician created by the author. Hoffmann’s tales inspired ballets by Tchaikovsky (The Nutcracker) and Delibes (Coppélia), as well as operas by Offenbach, Busoni (Die Brautwahl) and Hindemith (Cardillac). Hoffmann himself was also a composer, and his proto-Romantic opera Undine was praised by Weber. His influence as a writer, meanwhile, was felt as far afield as France, Russia and America, those who fell under his spell including Baudelaire (for whom he was simply ‘the divine Hoffmann’), Balzac and Maupassant, as well as Dostoevsky, Pushkin and Gogol, and Edgar Allan Poe. Today, Haydn and Mozart are routinely labelled ‘Classical’. But for a brilliant younger contemporary of theirs, the writer, composer and critic E.T.A. Hoffmann, they were ‘Romantics’, and Beethoven was their natural successor. What we now call the Classical Era was an age of ferment and transition. When Beethoven was born in 1770, composers were liveried servants; by the time of his death in 1827, the composer had become an artistic hero, the true heir of the democratic, revolutionary Napoleon. Vienna registered this epochal change in its own paradoxical way. The capital of the centuries-old Holy Roman Empire was a bastion of political and cultural reaction. Yet it was also an international city, to which people flocked from far and wide, bringing with them contrasting cultural attitudes and beliefs. The shock waves of the French Revolution were registered in a variety of ways: secretly in Masonic lodges, and publicly in the subversive comedy of Mozart’s Marriage of Figaro. This was also the so-called Age of Enlightenment, in which intellectuals of many disciplines were challenging the authority of the throne or the pulpit, and arguing that truth could only really be found by independent enquiry, and tested by discussion with similarly independent minds. The first stirrings of Romanticism, revolutionary thinking, the spirit of courageous enquiry and delight in disputation – all of this can be heard, long before Beethoven’s incendiary ‘Eroica’ Symphony, in the chamber and instrumental music of Haydn, Mozart and Beethoven himself. But the ‘Classical’ label is not simply wrong. This was an age in which new musical forms were being perfected, in which Sturm und Drang was countered by an instinct for balance and elegance of proportion. The paradox of Vienna is also the paradox of its music. On Good Friday 1787, in the great Baroque cathedral of Cádiz, music by Joseph Haydn was performed during ten-minute intervals between the bishop’s meditations on the Seven Last Words of Christ on the Cross. These Last Words refer to seven short utterances made by the dying Christ, taken from the Gospel stories of the Crucifixion, and Haydn wrote his music as a personal response to each of them. In this concert, we present interspersed between Haydn’s movements not sermons, but poems, written and read by Ruth Padel in tribute to the interrelations, and tensions, created by the composer between word and music. Each poem ends with the Word to which the ensuing music then responds. This first London performance of Padel’s haunting poems offers a uniquely tangible and contemporary vision of a historic scene, as a world-renowned string quartet and a multi-award-winning poet take us on an emotional journey which begins by attending to the needs of others – Forgiveness, Comfort and Relationship – and progresses through Abandonment and Distress to culminate in Fulfilment and Reunion. Beethoven’s ‘Kreutzer Sonata’ for violin and piano (dedicated to Rodolphe Kreutzer, a French violinist who never performed it) is the centerpiece of Tolstoy’s disturbing and controversial novel, ‘The Kreutzer Sonata.’ The novel in turn inspired the Czech composer, Leoš Janáček, to write his eponymous, intense and feverish first string quartet. Tolstoy, deeply responsive to music, had a particular passion for folk music (the second movement of Tchaikovsky’s first quartet, based on a folk song from Tolstoy’s childhood, brought tears to his eyes). However, he was highly selective about the works of Western composers. While Tolstoy admired Beethoven and was captivated by his music, he was also of the view that the composer had brought about the decline of musical art. In ‘The Kreutzer Sonata’, Tolstoy expresses his complex and controversial views on marriage and sexuality, focusing on the conflict between the main character, Pozdnyshev, and his unnamed wife, who plays Beethoven’s sonata with a spirited violinist. While she becomes impassioned by the music, Pozdnyshev, believing himself deceived, is overcome by a jealous rage and murders his wife. From the time of Gluck in the mid-eighteenth century to that of Mahler and Schoenberg in the early twentieth, Vienna was the capital of capitals as far as music was concerned. If a composer could make it there, he truly could make it anywhere. Amongst the composers of genius attracted to the city were Haydn, Mozart, Beethoven, Brahms, Richard Strauss and Lehar, not to mention such native sons as Schubert and Johann Strauss. In no other city was music quite so central to its life, or musical intrigues quite so poisonous! In our Romantic Vienna programme (the first of the three concerts devoted to Vienna) we shall be exploring the music and art of the Romantic period. We will present the music of Schubert and Brahms, the Romantic classics. Both Schubert and Brahms composed in the traditional forms established by the great classical Viennese trinity: Haydn, Mozart and Beethoven, but the content of their music is highly Romantic. While Schubert's music (like that of the later Beethoven) heralds the dawn of Romanticism, that of Brahms brings on the dusk. Marcel Proust was one of the most musically responsive of writers. Hypersensitive and hyper-fastidious, he once wrote to his friend Gabriel Fauré that he was ‘intoxicated by his music’. Fauré in turn became one of the models for the composer Vinteuil in Proust’s À la recherche du temps perdu. Yet as Proust revealed, the inspiration for the ‘petite phrase’ associated with Swann’s love for Odette in the novel was not Fauré’s, but the ‘motto’ theme that pervades Camille Saint-Saëns’ Violin Sonata in D minor. Join us as we explore music associated with Proust in a programme that ranges from late Beethoven (one of the writer’s dearest loves) via the charming, rarely heard Saint-Saëns violin sonata, to the first movement of Fauré’s Piano Quartet in G minor inspired by the composer’s childhood memories (Proust would have approved), and finally, to Debussy’s revolutionary String Quartet of 1893, Proust’s favourite work by his favourite living composer. A talented musician in her own right, she studied piano under the composer Gabriel Fauré (1845-1924). An enthusiastic performer of Beethoven, Schubert and Chopin, she was passionate about Debussy and Ravel. (Ravel dedicated his Le Cygne (The Swann) to her in 1906, and the symphonic poem La Valse (The Waltz) in 1920.) In the twentieth century, Misia’s musical tastes turned towards a new aesthetic represented by Satie, Stravinsky, Auric and Poulenc. One of the most prolifically painted women of her time, Misia was portrayed by Vuillard, Bonnard, Vallotton, Renoir, Toulouse Lautrec and many others. Join us to as we present the music of Belle Époque and beyond; become a part of our encounter with Misia, a woman, who by virtue of her magnetic presence alongside artists of her time, became a muse and an arbiter of taste for several decades. The great Goethe, when in his sixties, fell under the spell of Hafiz, the 14th century Persian poet. Hafiz’s poetry inspired Goethe to create the ‘West-Östlicher Divan’ – a collection of love poems, epigrams and drinking songs. Goethe’s verses in turn inspired composers such as Franz Schubert and Felix Mendelssohn, while poems of Hafiz were set to music by Hugo Wolf and Richard Strauss. Join us as we explore Europe’s century-long love affair with the Orient through poetry, painting and song. Clara Schumann (Clara Wieck) - virtuoso pianist and composer, wife of Robert Schumann, mother, teacher, friend and inspiration to many of her contemporaries - played many roles during the course of her life. She became one of the greatest performers of the century alongside Thalberg, Chopin, Rubinstein and Liszt, the latter dedicating both his 1838 and 1851 editions to her as one of the finest contemporary pianists. Clara was Schumann's muse and musical voice, creative partner and interpreter of his work. As a celebrated performer, she was able to promote her husband’s works. Clara was the inspiration and guide for much of the music of Brahms, who fell hopelessly in love with her as a young man. As with Schumann, she shared in the genius of Brahms, who in his own words described his relationship with her as “… the most beautiful experience of my life, its greatest wealth and its noblest content.” Clara maintained an inspiring friendship with Mendelssohn, who had the highest regard for her as a musician, and dedicated some of his music to her. Clara, in turn, included at least one of Mendelssohn’s works in almost every recital she gave during her long career as a concert pianist. Along with Clara’s own music, this programme presents music composed by the men for whom she was friend, love, and inspiration. Join us to get a glimpse of the woman behind the Muse. Join us as we explore the Romantic dilemma of an Unattainable Ideal. In his pre-performance visual presentation, Dr. Markus Ophälders will examine the philosophical and cultural aspects of the Romantic era, its mentality, and its search for reason, form and liberty. 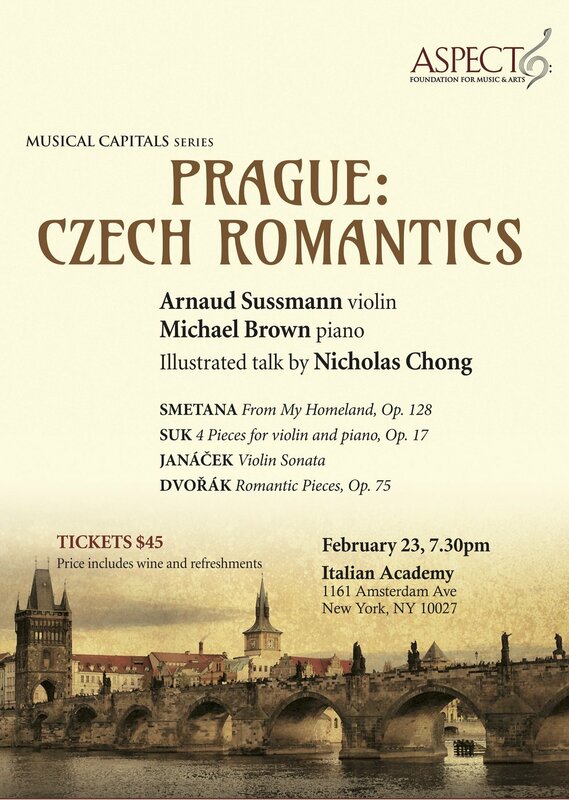 And then you will be able to immerse in the true spirit of Romanticism through the music of Brahms, Schuman and Frank. Mozart, the epitome of Classicism, and Brahms, the height of Romanticism... Join us as we go back in time, back to the original context in which the music was written, as we journey through each epoch represented respectively by Mozart and Brahms. Our discussion will focus on the philosophy, the spirit and the social context of their times, accompanied by images of the painting, decorative arts and architecture of each period.This thought-provoking event will inspire you, enhance your perception of music, and possibly even enLighten or imPassion your approach to life. Exploration of Styles through Impressions in Music and Art.